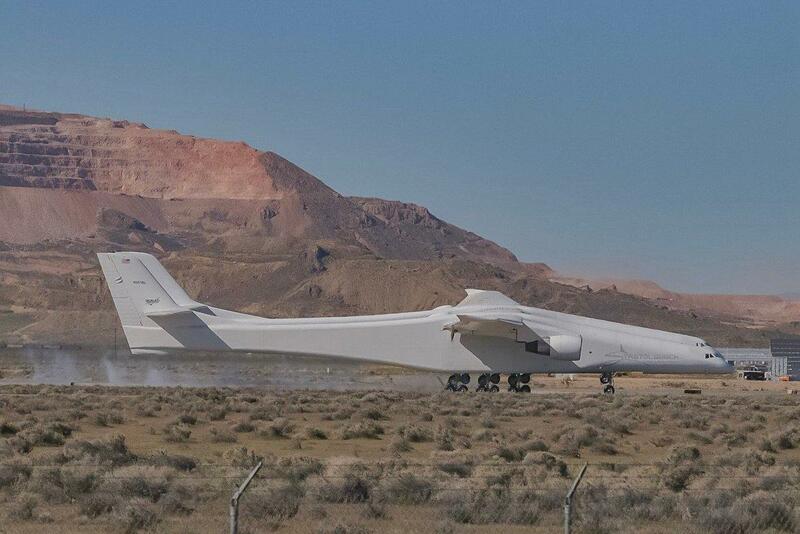 Stratolaunch Systems Corporation, founded by the late billionaire Paul G. Allen, conducted its first test flight Saturday over the Mojave Desert in California. With a dual fuselage design and a 385 feet wingspan, the plane lifted off at 0658 PDT from the Mojave Air & Space Port, a Stratolaunch press release read. 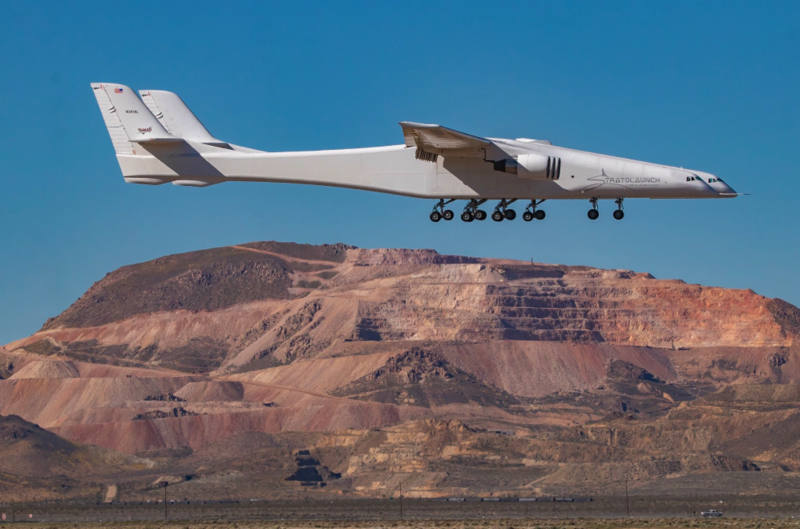 Called the "Roc," the world's largest aircraft flew for 2.5 hours, achieved a maximum speed of 189 miles per hour, and soared at altitudes up to 17,000 feet. The first flight allowed pilots to evaluate the airworthiness of the aircraft before landing successfully back at the spaceport. 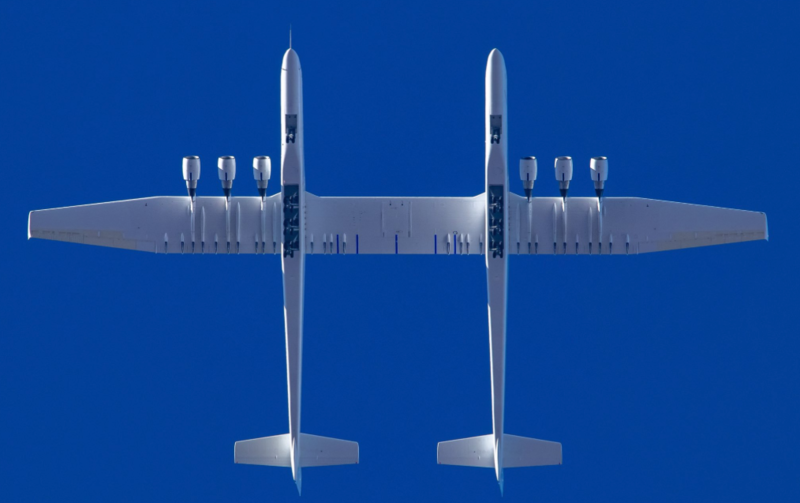 "What a fantastic first flight," said Jean Floyd, CEO of Stratolaunch. "Today’s flight furthers our mission to provide a flexible alternative to ground-launched systems. 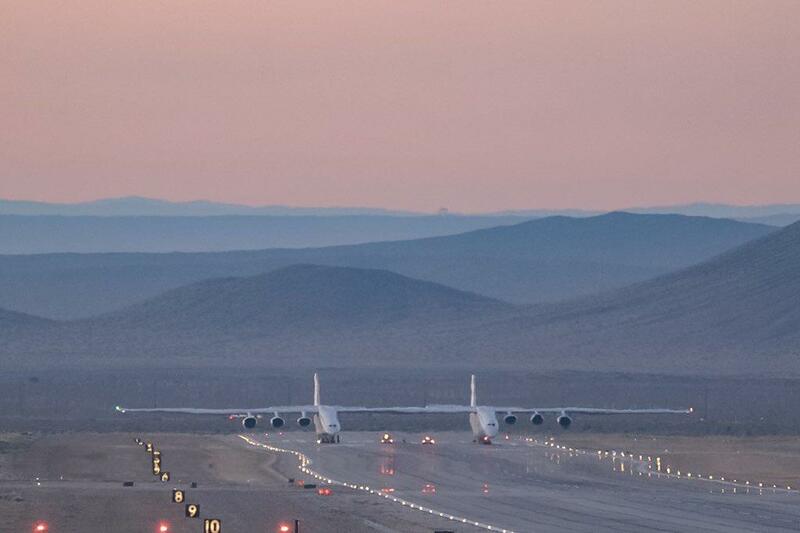 We are incredibly proud of the Stratolaunch team, today’s flight crew, our partners at Northrup Grumman’s Scaled Composites and the Mojave Air and Space Port." Performed a variety of flight control maneuvers to calibrate speed and test flight control systems, including roll doublets, yawing maneuvers, pushovers and pull-ups, and steady heading side slips. Conducted simulated landing approach exercises at a max altitude of 15,000 feet mean sea level. Roc is a mobile air launch platform that will allow airline-style access to space that is convenient, affordable and routine. The reinforced 385-feet carbon fiber wing can support multiple launch vehicles, weighing a total of 250 tons. The air launch will occur at 35,000 feet and propel the rocket into Low Earth Orbit (LEO). 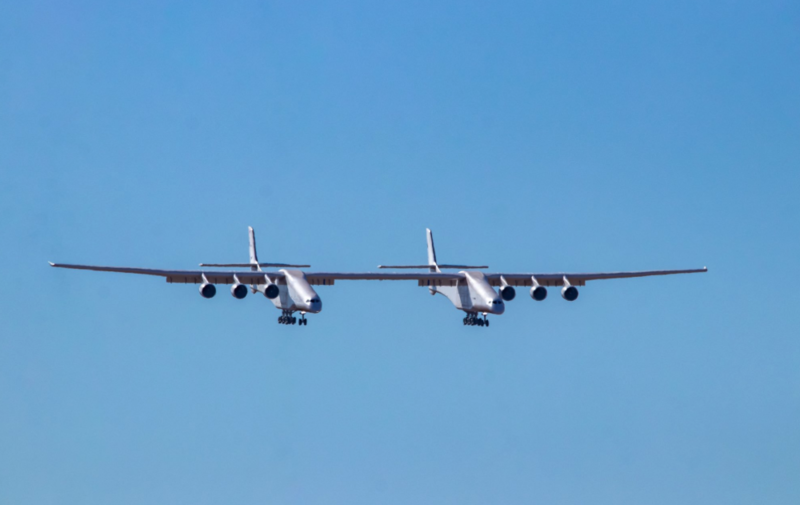 "A historic milestone for the Stratolaunch team with this record-setting aircraft taking flight," Thomas Zurbuchen, NASA's associate administrator for NASA's science directorate, tweeted. "This is about going to the edge of space and beyond!" More views of the Stratolaunch's historic first test flight. "We all know Paul would have been proud to witness today’s historic achievement," said Jody Allen, Chair of Vulcan Inc. and Trustee of the Paul G. Allen Trust. "The aircraft is a remarkable engineering achievement and we congratulate everyone involved."